Porcelain Veneers: Porcelain veneers are used to cover, straighten, whiten, reshape, or hide unsightly teeth. Contact-lens thin porcelain is shaped and bonded to the front surface of your teeth to create the smile you desire. DURAthin Veneers: Cosmetic dentist Dr. Dennis Wells helped develop DURAthin veneers to function like porcelain veneers, but without any drilling or reduction of teeth. 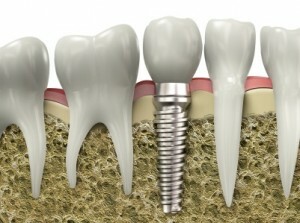 They are removable down the road if you ever want to go back to your regular teeth. Teeth Whitening: Teeth whitening one of the simplest cosmetic dental services that can make a drastic difference in the look of your smile. At the Nashville Center for Aesthetic Dentistry, we provide both at-home and in-office teeth whitening options to lighten the shade of your teeth and get rid of tooth stains. For more information on cosmetic dental services offered at the Nashville Center for Aesthetic Dentistry in the Brentwood area, call our office today at 615-371-8878 to schedule a FREE initial consultation.